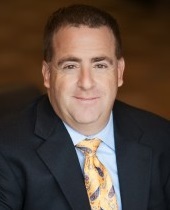 SCOTT J. SILVERMAN joined the Firm in January 2017. He returns to the law firm where he worked from 1994 to 2001, after working with his family construction and real estate development business (2001-06) and a law firm where is concentrated his law practice in the field of community association law (2006-16). Scott has more than 20 years’ legal experience representing condominiums, housing co-ops, and homeowners associations in Maryland and Washington, D.C. He has worked with community association boards and their managers in Baltimore City, Montgomery County, Prince George’s County, Howard County, Anne Arundel County, Baltimore County and other counties throughout Maryland. As an active member of the Community Associations Institute (CAI) for many years, Scott has served on the Board of Directors of CAI’s Chesapeake Region Chapter and as the Chapter President. He also regularly presents at CAI education and training events on topics such as association governance, covenant enforcement, and assessment collection. He is currently a member of the Washington Metro Chapter's Maryland Legislative Committee and Publications Committee. A Montgomery County native, Scott is 1990 graduate of Brandeis University and a 1993 graduate of the University of Miami School of Law. He is admitted to practice law in Maryland, the District of Columbia, and New York.